Maybe you have the perfect ideas for posing as husband and wife in your wedding photo session, and maybe even some fantastic ideas for the wedding party, but what about the solo bridal portraits? 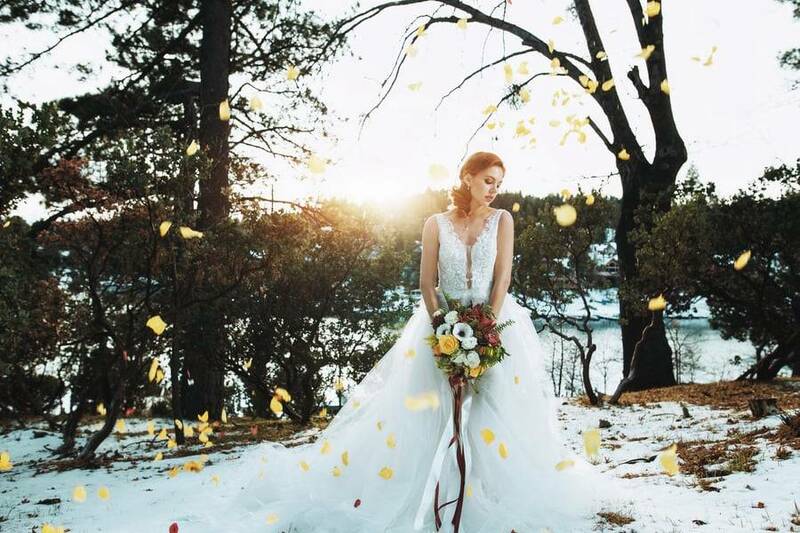 If you’re still at a loss, check out some of these stunning bridal portraits; we’ve gathered up our favorites for you to use as inspiration for your own solo bridal portraits. 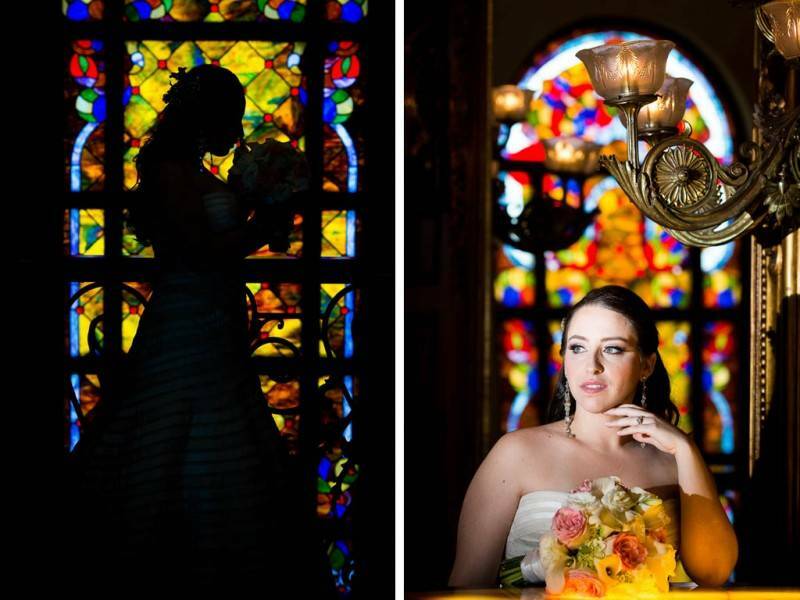 We particularly love both of these bridal photos; the stained glass of the church window is used in the first as the backdrop to a silhouette. In the second, the bride’s face is seen clearly, but that magnificent color of the stained glass window is still seen popping out behind her. These are magnificent! This photo is simply breathtaking! 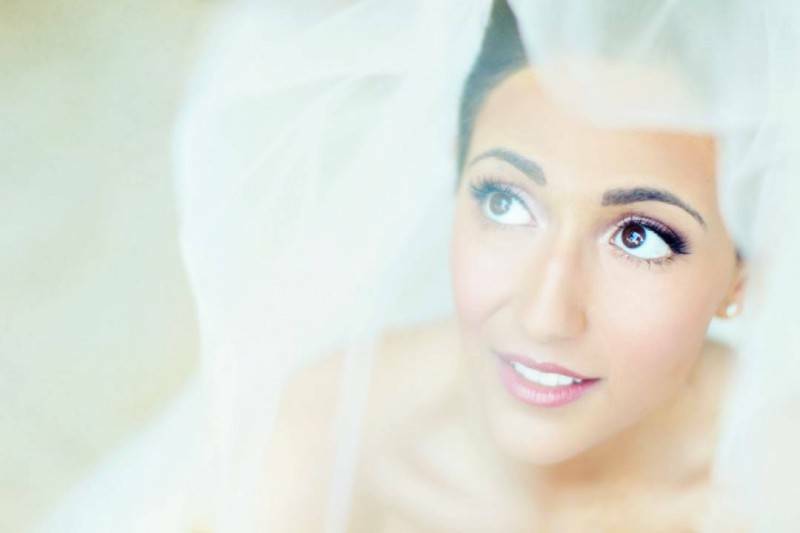 It’s a close-up of the bride’s face, with the veil fading into a gauzy frame for her bright eyes and rosy cheeks. This photographer captured the essence of the bride with no complicated props or backdrops. We think it’s charming and just lovely. It’s quite true that some photos of the bride alone in a field would be a bit less festive than many brides might like, but this one is absolutely gorgeous. 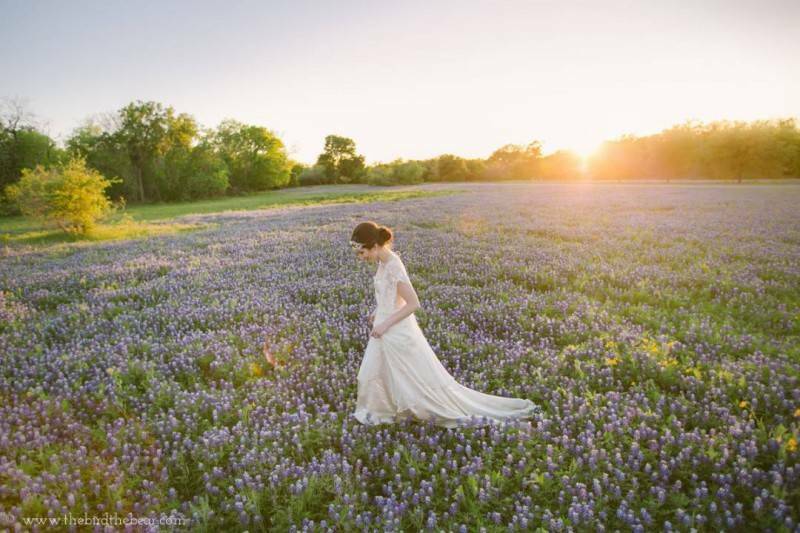 The sun shining over the trees and the beautiful purple of those wildflowers really pop against the white of her dress. We also like the whimsical little smile on the bride’s face – this photo is just darling. 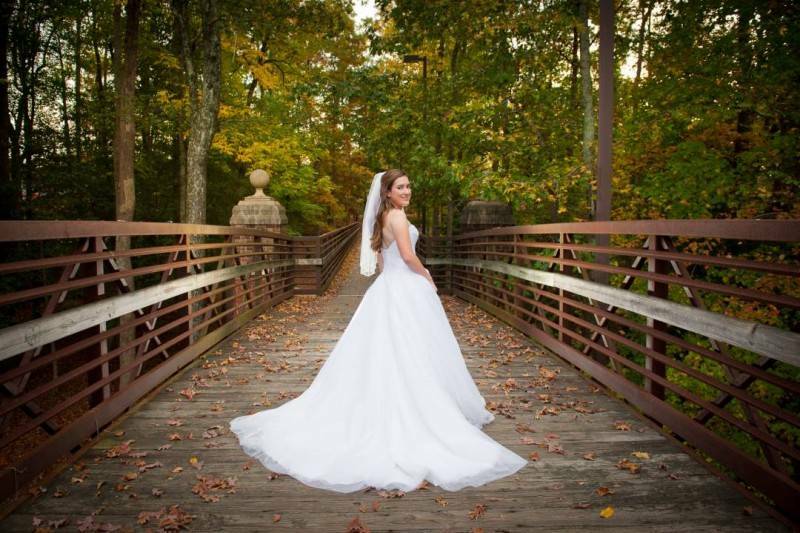 We’ve seen thousands of wedding portraits over the years, and many with the bride looking back toward the camera with a charming little smile. 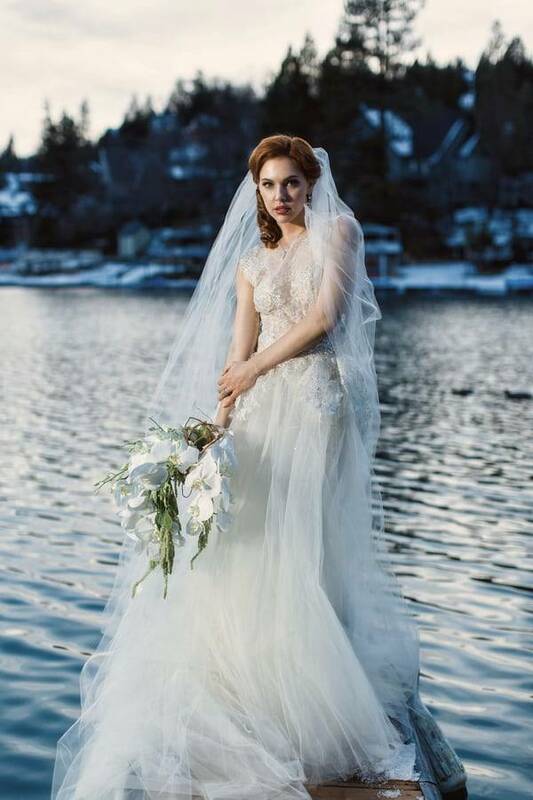 What we love most about this one is the bride on the bridge, proving that some backdrops and props are absolutely genius. It’s almost symbolic of her journey into marriage, and the entire photo is just perfect. Both of these close-ups of this beautiful bride are fantastic. The first, featuring the bride from the waist up is a beautiful photo focusing only on her. 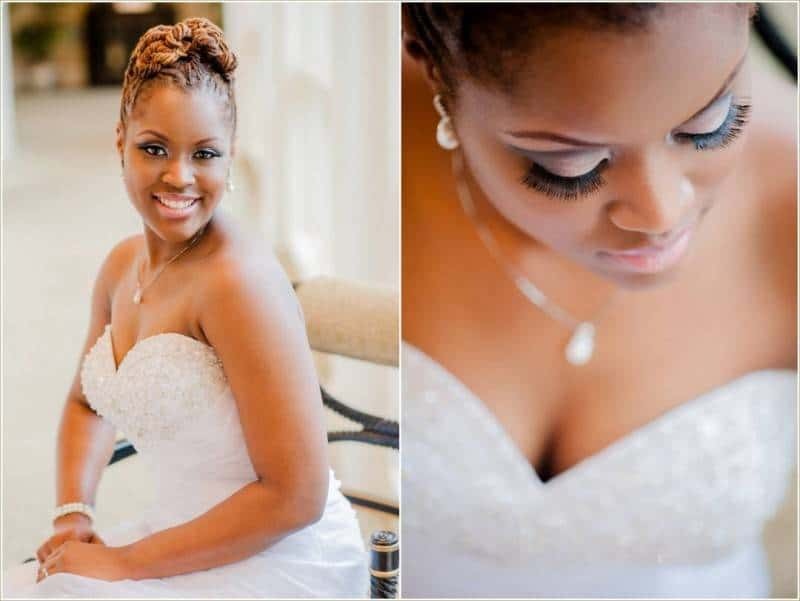 We also love the second, which captures the happiness this bride is feeling, not to mention her fantastic make-up job! The dramatic bride will simply love these photos. It’s another pair of photos featuring the bride from the waist up and then a close-up of the bride’s face. 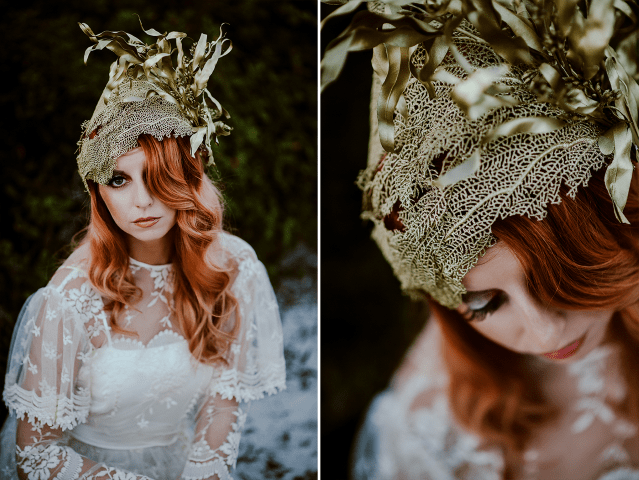 What’s fantastic about these is the color and texture; this edgy bride’s color has been captured and we think they are just gorgeous. This wind-blown full-body bridal portrait is a classic! It features a landscaped shot with a wide-focal range. 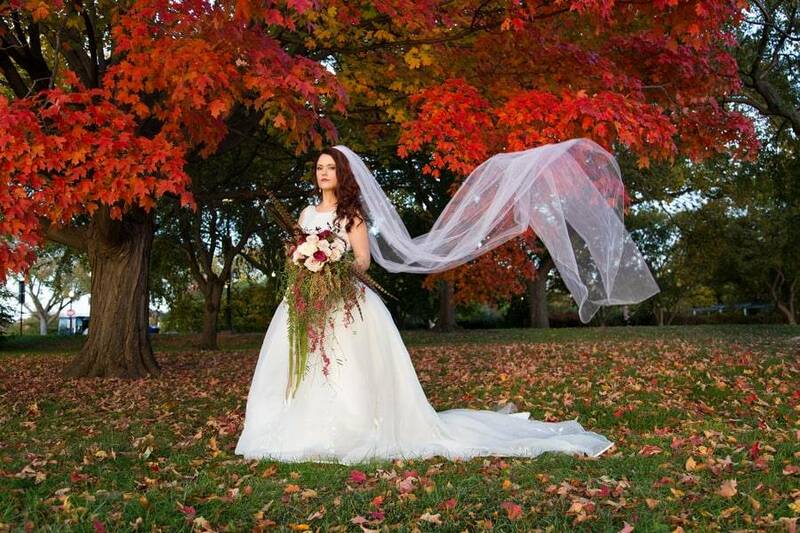 The vibrant colors of autumn leaves create a beautiful canvas for her stunning wedding dress. Add the wind-blown effect and it’s already one epic shot. This style impresses movement and dynamics even when your just capturing stills. Totally a well thought-of shot! 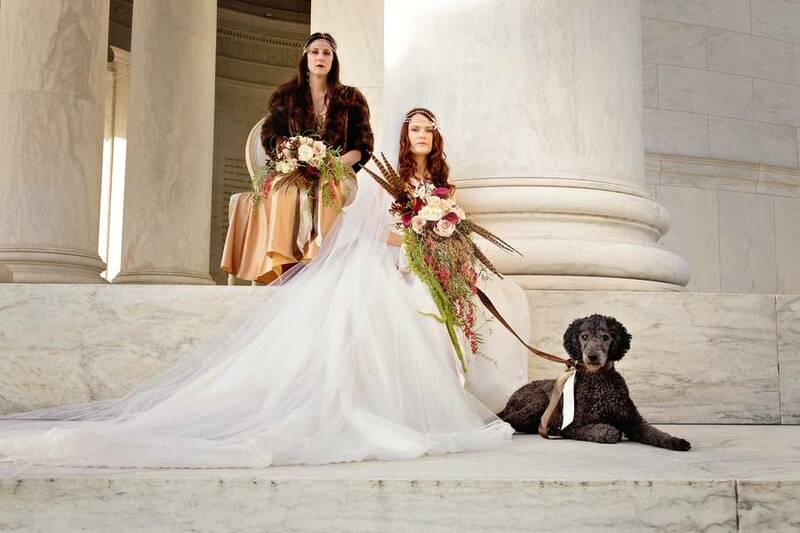 Can’t get enough these beautiful bridal portraits? 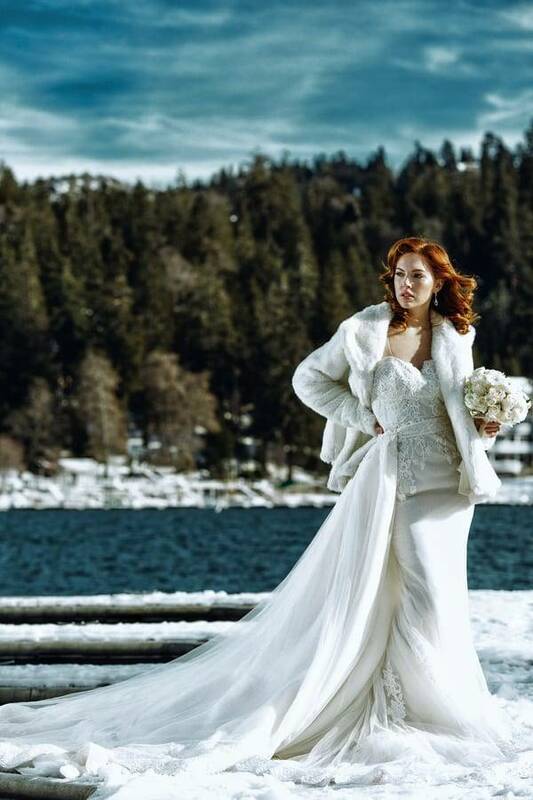 Here are more from Dmitry Shumanev Photography showcasing the most beautiful gowns by Ines Di Santo. There you have it – some fantastic solo bridal portrait ideas you can use for inspiration. Get more info.. Do you particularly love any of these or identify better with one? Let us know your thoughts in the comments below!